SPRINGFIELD – Bishop Jonathan D. Keaton has announced the appointment of the Rev. Mary Kathryn Pearce, pastor of Dunlap Prospect UMC, as the new Illinois River District Superintendent, effective Aug. 1. Rev. Pearce will succeed Rev. Dan Harry as the superintendent based in Peoria. Rev. Harry requested and was granted a leave of absence, effective July 1. The request was approved by the Board of Ordained Ministry’s Executive Committee, the Cabinet and Bishop Keaton. For Pearce, the theme of the 2013 Annual Conference of Extravagant Generosity has continued to resonate in what she called a “post-annual conference bounce,” alluding to the political arena where candidates see public opinion poll number rise following their party’s convention. “I continue marvel how extravagantly God has been to me and how I have been blessed by the people I have served and how they have shared with me and how it has helped both of us to grow,” Pearce said. A native of Marshall, Pearce entered teaching in the public schools received her bachelor’s degree and two master’s degrees from Indiana State University. She taught junior high English in the Rushville, Ind. Consolidated School District for six years and high school English in the Mt. Zion School District for three years before answering the call to ministry which culminated in 1979. Because of her own life experience, Pearce has had an intense commitment to empowering laity to do ministry – “to fully be the church.” Her involvement in the Regional and Conference Schools of Mission with the United Methodist Women have enabled her to assist in the training and enabling of laywomen with the skills to be in mission. Pearce graduated in 1983 from Iliff School of Theology and was ordained deacon in the former Central Illinois Conference. She was ordained an elder in 1985. 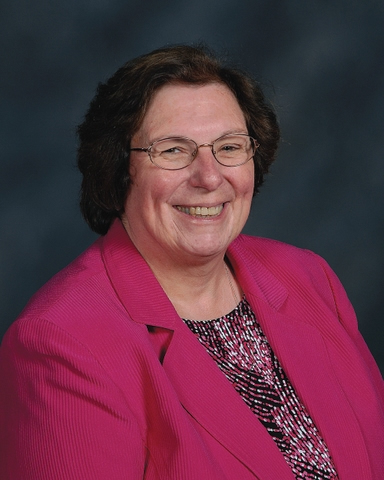 In addition to her current appointment to Dunlap Prospect for the past 14 years, Pearce also served as associate pastor at Gibson City-Elliott (1983-86) and 13 years at Good Hope-Jerusalem (1986-99).